Great way to stay up to date on the latest Beatle News! I love The Beatles, and giving my friends interesting facts, so I love this podcast! I think many Beatles Lovers will agree. If you love The Beatles, this podcast is for you. 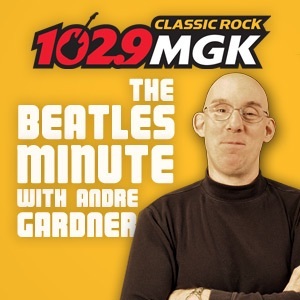 im a philly native, love wmgk, best beatles podcast with updates and "this day in beatles history"
i like the show, but i wish there was music . . .
Andre reminds us what made the Beatles great with updates on what Sir Paul and Ringo are currently doing, and “this day in Beatles history.” I can’t wait to plug my iPod in to hear the next installment.